A geomagnetic storm that resulted from a large coronal mass ejection on September 27 came in a little stronger than originally predicted. The storm was upgraded from low to moderate strength ending up at a G3 rating as it extended into its second day October 1. Although expectations for auroral viewing had been low due to the predicted mildness of the storm and its occurence during a full moon, sky watchers ended up witnessing some quite spectacular views of the atmosphere’s response to the radiation bombardment, and at lower latitudes than usual. 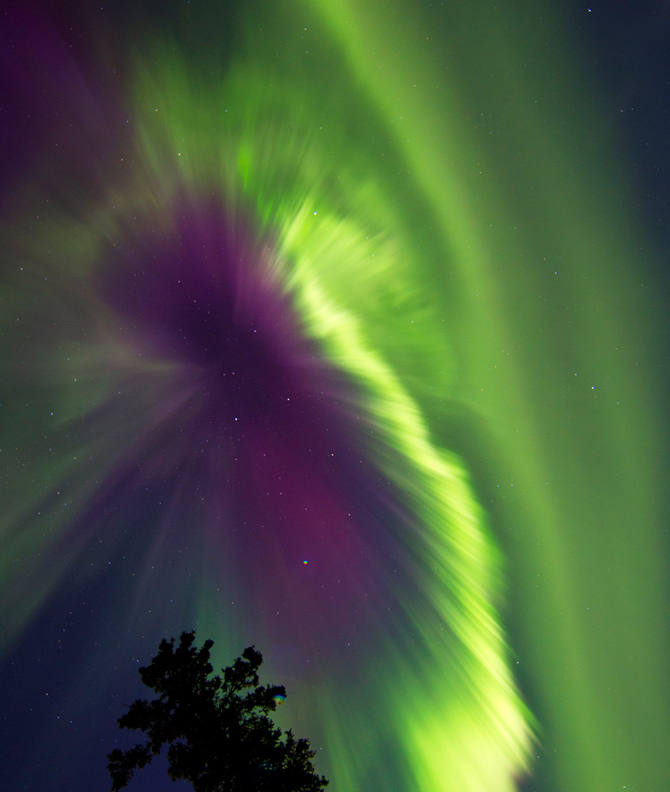 Aurora seen in Whitehorse Yukon, Canada on October 1 (Credits: Joseph Bradley).